Our Soft System is easy to use – also just slide the door in the direction of the closed position and Soft Close takes over, moving the door gently and evenly towards the closed position. It’s safe less risk of accidentally trapped fingers. And also quieter, cuts out any inadvertent slamming noise. It’s easy to install and it can be installed retrospectively. 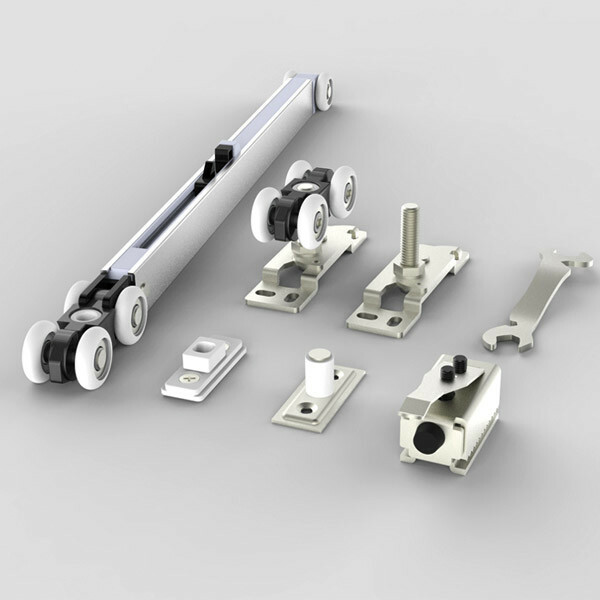 Also available for doors from 20 to 120 kg works with our roller kit.